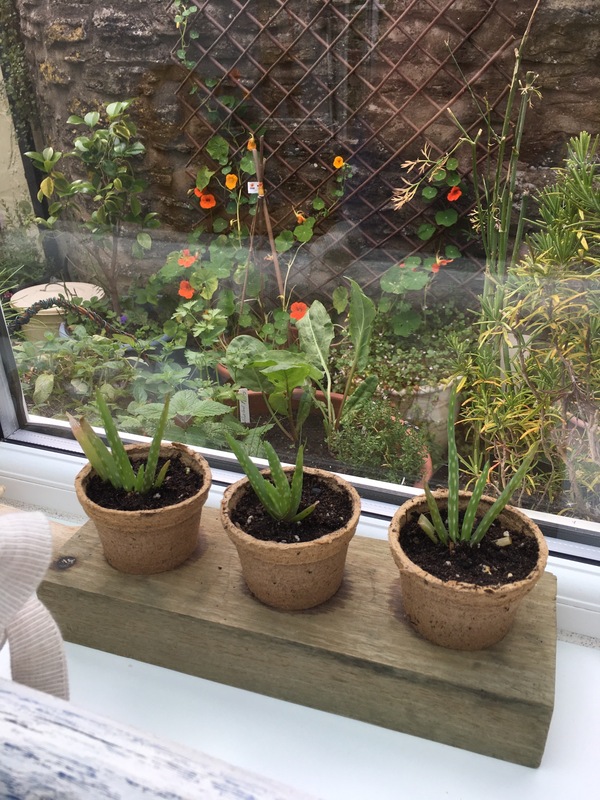 A few new aloe vera pups were ready to pot on this week, they’d been resurrected recently and are now looking good on the windowsill by the kitchen garden. Aloes are proving quite resilient. I had almost given up on this pot of aloe until I noticed signs of life in the ‘fukkit bucket’ of fails. 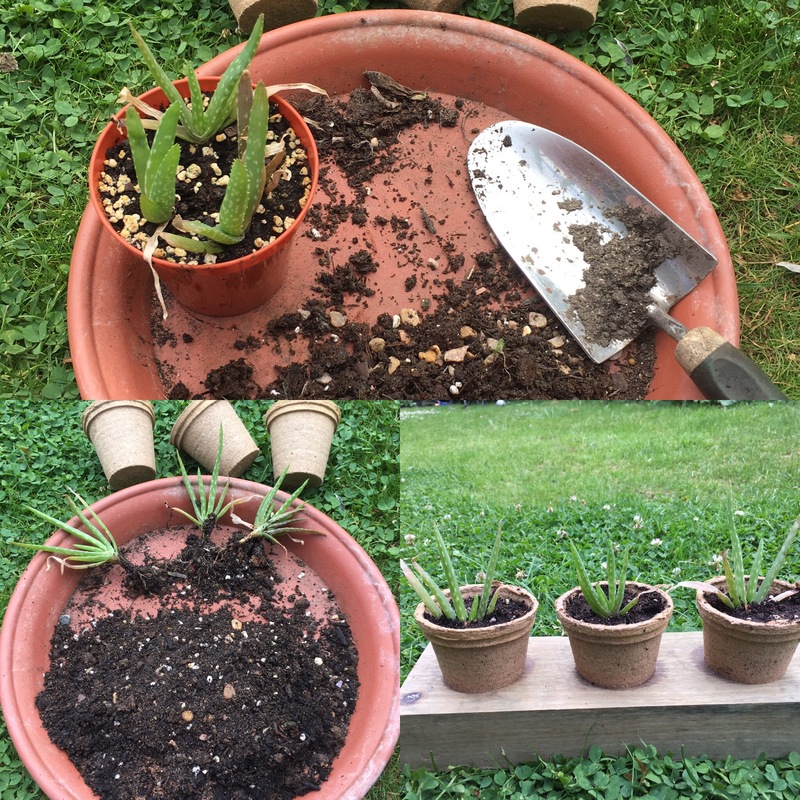 Anyhoo, a couple weeks ago of I noticed that a little pot of aloe vera was not as dead as I thought. So I’ve given it light and water, and it’s now perked up enough to pot on. 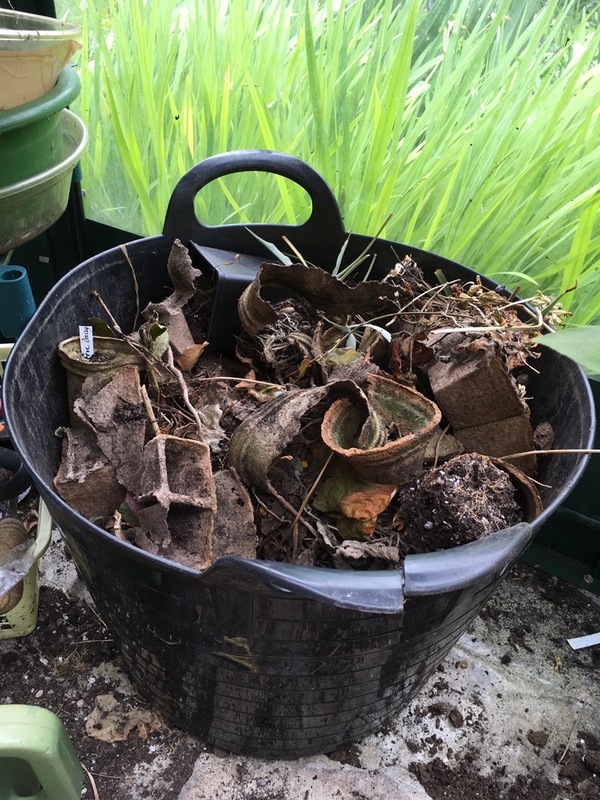 Resurrection gardening is pleasing, not many plants make it out of that bucket! 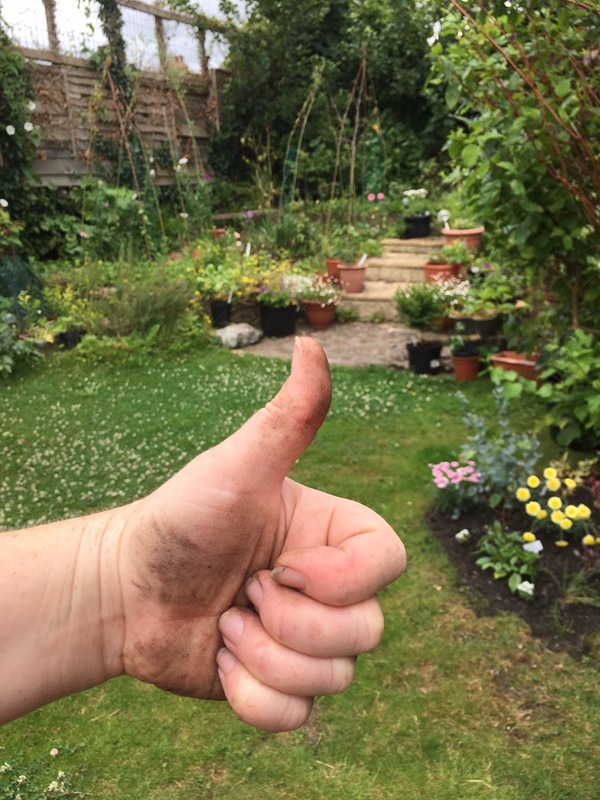 In other news, we have a new ’round’ border by the dogwood, planted with eucalyptus, dahlia and argyranthemum. I’m pleased with it so far! I do not have a fukkit bucket, but now I want one!